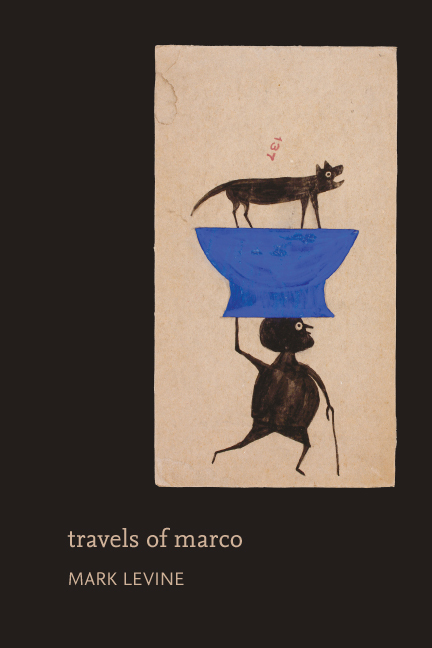 The poems in Travels of Marco speak with a heightened awareness of the incipience of personhood and of its tatters. Exploring a friction between living and surviving, the poems are preoccupied with employment—physical and spiritual—and unemployment, flight and immobility, ethereal selves and animal selves, absurdity and actuality. Here is work that raises the questions of whether the person who has lost language continues to dream and of whether the most remote memories of love and care might provide sustenance. The story these poems are telling in their shifting tones and identities is one of the restorative power of imaginative transport—travels in language—at the mind’s limit.